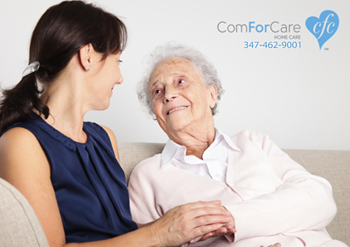 ComForCare Private HomeCare provides outstanding companion-caregiver services at an affordable price. Our clients' comfort and peace of mind is our top priority. We are there every step of the way to ensure your companion is not only an experienced one, but also has an ideal personality match to complement our client. You will meet your caregiver prior the date of service, in your home or in another comfortable environment of your choice. With our FREE in-home consultation, we will be able to address your concerns and find you the best care possible at an affordable price! We have a minimum of 12 hours per week and a minimum of 4 hours per day. We have a 10- STEP HIRING PROCESS for our caregivers! Pass our caregiver skill set evaluation. Pass employment verification Upon beginning the services, our office staff is there every step of the way to make sure we are exceeding your expectations. Brooklyn, Manhattan, Queens, Bronx, and Staten Island. Languages: English, Spanish, Russian, Italian, Polish, French, Krio, Romanian, Greek, Hindu and others. I am a past client of this provider: I used ComforCare for my mom. We were very happy with their care. They’re very friendly, caring and most of all, they’re very professional. When I call the office, they always attend to my questions. I am a current client of this provider: This is an amazing, full service organization. I feel confident every day, knowing in my heart that I made the right decision for our family when I hired Comforcare to provide the care that my father needed. The staff is beyond wonderful! Two thumbs up! I am a current client of this provider: I have a very positive experience with ComForCare. We have been using them for more than a month now and they are caring for my mother. The office staff is very responsive to my concerns. The aides are very good at what they do. They are always willing to cooperate with my mother's needs. They're always willing to help without any hesitation.